In this episode, I sit down with Steve Sims, described as the “real life Wizard of Oz” and the founder of Bluefish – the world’s top concierge service. 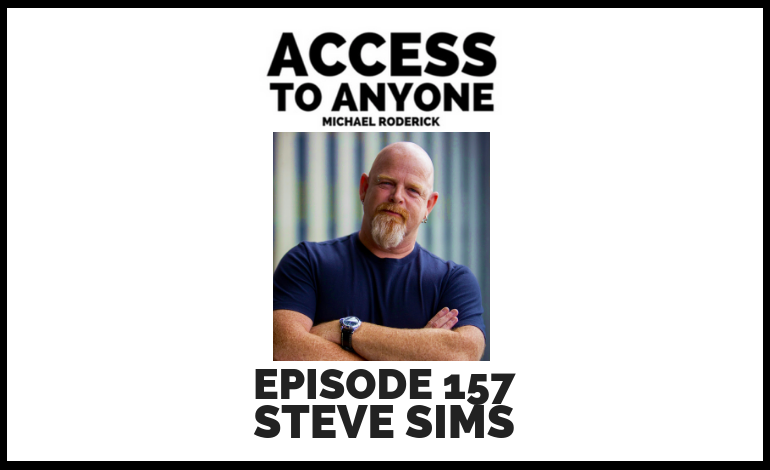 Listen in as Steve shares his journey of becoming connected to some of the world’s most influential people (and get some straightforward hard knocks lessons along the way). Steve Sims is the founder of Bluefish, the world’s top personal concierge services and author of the bestselling book Bluefishing – The Art of Making Things Happen. Quite simply, he makes the impossible possible. Want to sing with your favorite rock star? Be serenaded by Andrea Bocelli? Walk the red carpet at an A-List Oscar party? Get married in the Vatican? Dive to the wreck of the Titanic? Yeah, he can make that happen. No check that, he’s made that happen. These high-end, velvet rope missions have secured Steve a spot as one of the globe’s most successful marketers of luxury brands. His style, humility, real talk, and storytelling acumen are so innovative in this space because it’s real and it works. It’s probably why both Forbes and Entrepreneur Magazine have coined him, “The Real Life Wizard of Oz”. While Steve speaks and consults internationally to groups large and small, his two favorite gigs were at Harvard and The Pentagon. And they both asked him back!